Just when the clamor over 'traditional' marriage couldn't get any louder, along comes this groundbreaking book to ask, 'What tradition?' 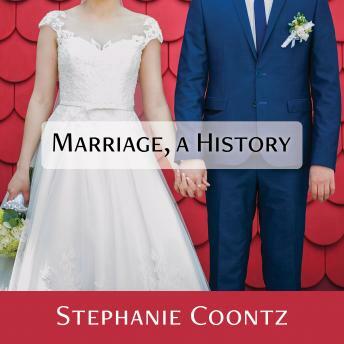 In Marriage, a History, historian and marriage expert Stephanie Coontz takes listeners from the marital intrigues of ancient Babylon to the torments of Victorian lovers to demonstrate how recent the idea of marrying for love is-and how absurd it would have seemed to most of our ancestors. It was when marriage moved into the emotional sphere in the nineteenth century, she argues, that it suffered as an institution just as it began to thrive as a personal relationship. This enlightening and hugely entertaining book brings intelligence, perspective, and wit to today's marital debate.